She sighed. Another blank. Why did she even try? She frowned and stared at the prompt. A sturdy pair of shoes. Just like the ones she needed to fulfill her New Year resolution. Perhaps she could buy one before the year ended. At least it would be a step in the right direction. The shoes looked comfortable, not something that would give shoe bite. But probably beyond her shoestring budget, she sighed. Perhaps she would dig out an old pair, go for a walk, and find some inspiration on the way. Written for the Friday Fictioneers – a story in 100 words or less. 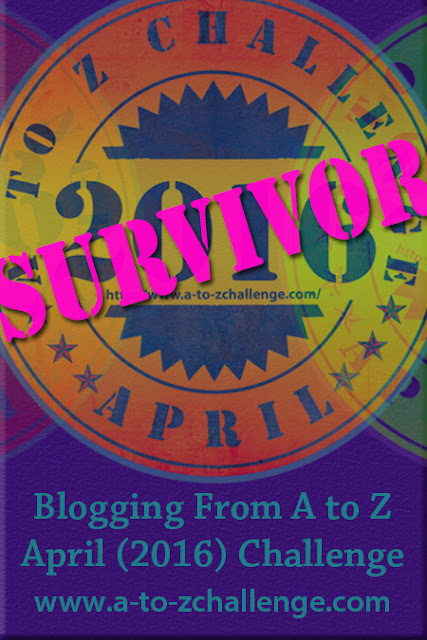 Thanks to Rochelle for hosting the challenge and Adam Ickes for the photo prompt. To read the other stories inspired by this prompt (and showcase your story) click here. Something is better than nothing right? Or not? Go on say it! Thanks for reading and (hopefully) commenting. Hello people! Cee’s put up a wonderful funny foto challenge this week, one that has dragged me out of my boring uninspiring world. Besides who can resist an opportunity to laugh or smile – well how about baring the teeth then? At an outdoor event while the participants were readying, thise mom and child duo had a blast. It brought a huge smile to my face as they dashed about frolicking, jumping and generally freaking out without a care in the world. The little one was so quick on its feet that I could only manage a blur. The next one is a bit better. That’s a Minion! No it’s Superman err Superdog Scoobie Dooby Doo 😀 Dont miss the Royal Ignore pose. What’s so funny you ask? Well how about you tell me the time? And marvel at the meal that echoes but most of all salute the spirit and the determination to survive despite all odds. He couldn’t breathe because of the all-pervading stench that seeped into his bones. To make it worse, it was cold and dark. He squirmed and shuddered as something brushed his leg. That would spoil his chances. He held his breath. Was that…? Written for the Friday Fictioneers – a story in 100 words or less. Thanks to Rochelle for hosting the challenge and for the photo prompt. To read the other stories inspired by the photo prompt or join in click here. Amidst thunderous applause Kali walked up to the dais to receive her award from the President of India. Not just a wife and mother, she was a woman of substance – of the likes of Madame Curie. Pride and exultation filled her as she surveyed her family cheering and clapping until their throats and hands were sore. “Thank you.” Kali said modestly. “How long does it take to make a cup of tea?” A querulous voice demanded. “Coming.” Kali switched off the gas. Written (after a long time!) for the Sunday Photo Fiction – a story in 200 words or less. Thanks to Susan for hosting the challenge and Anurag for the awesome photo prompt. To read the other stories inspired by this prompt click here. “But…but all girls like flowers. “And that is your first mistake. I am not ‘all girls’. Besides I am allergic to flowers. “Chocolates are very fattening. They give me a migraine too. “Why should you get something for me? What do you want in return? Written for FFfAW challenge – a story in 175 words or less (I confess to overshooting the mark this week to 194 words 😦 ). Thanks to Priceless Joy for hosting this challenge and Yinglan for the beautiful photo. To read the other stories inspired by this prompt click here. “Sure.” Dia shut the door behind her. “Yikes it is hot!” she gasped. “What?” Dia wiped her brow. “Thanks for the shoulder.” Reema grinned. Written for the FFfAW challenge – a story in 175 words or less. Thanks to Priceless Joy for hosting the challenge and I am happy to have managed to rise to the challenge this week. Successfully or not, is up to you to decide! To read the other stories inspired by this prompt click here. Sonu stood outside the nondescript door in a modest locality and hesitated. What was he doing here? You are here to maintain facades, he told himself sternly. But why you? Titu should be here, he’s the one who is ‘supposed’ to marry her? Sonu had reluctantly nodded his head. “But her Aunt and Uncle will suspect something is amiss if you guys don’t meet up frequently.” Sonu said. And here he was, outside her door, wondering rather belatedly what exactly her was doing here. Oh yeah – to fix up a meeting with Titu. You could have called her. I did, remember? But she wasn’t there. Yeah right. You could have texted her. You could have asked her for Lovely’s number? What if Chachi doesn’t see text messages? Anyways I have to fix this asap as Titu is free only today. I don’t like what you are insinuating. Sonu firmly squashed that pesky nitpicker in his head and rang the bell. “Suriiiiii!” Hair flying Lovely came up at a run and stopped short as she saw who it was at the door. The animation in her eyes died down and a mask slid into place. “Suri,” she disentangled the little girl and hissed, “Go inside. I’ll deal with you later,” she promised in a dire voice. “Namaste.” She said formally while trying to gather her flying tresses and coax them into a bun. “Please sit.” She said decorously. “Did you have some work with Chacha Chachi? I am sorry they are out and will be late. I’ll get some water.” She turned away. “No!” Sonu stopped her. “I don’t want water or tea or coffee,” he added hastily at her expression. “But you must have something! I’ll get an earful otherwise.” She fretted. “You can always tell them, we don’t eat anything from the to-be-bride’s house before the wedding.” He grinned at her. “Why?” She sat down. “So that you can eat her head for the rest of her life?” He could swear he saw a dimple peep out. “I did hate making a spectacle of myself.” This time he clearly saw the dimple. She sighed “I thought of scaring you away with all the paraphernalia but since it Dadaji had made his intentions very clear I decided to change tactics and get some protected time till my exam.” Her eyes twinkled and her dimples were in full view. On the verge of protesting, Sonu subsided. It would give him a reason to prolong his stay. Now why would you want to do that? Distracted by muffled giggles, he looked up. Two bright pairs of eyes were inspecting him from behind the curtains. He beckoned them. Tripping, pushing and shoving they presented themselves. “And who may you be?” He asked with a smile. “That’s Suri or Surabhi,” Lovely re-entered carrying a tray, “and that’s Lata, my cousins. Say Namaste and go in.” She ordered, offering the Coke to Sonu. “We want to stay and talk to Jijaji.” Suri piped up. Sonu choked and sputtered. Lovely offered him a couple of napkins. She glared at the two girls looking on avidly. “He’s not…go inside!” She jerked her head. “You didn’t say why you came?” Lovely asked rather abruptly. “Nope.” Sonu shook his head. “Then what were you hinting at?” Challenged Sonu. “No.” Sonu shook his head. “There’s no point in continuing this conversation.” She was back to her wooden self. “Was there anything else?” she asked politely but pointedly. Lovely shook her head. “I’m busy. I have to study.” She looked at her watch. “In any case, I wasted a lot of time today.” She gave him a scathing look. “And men are so innocent and blameless.” She sneered. Exactly. What’s in it for you Sonu? Before Lovely could protest, or worse, walk off her uncle and aunty entered. They gushed and fawned over Sonu until Lovely was ready to throw up. And he wasn’t even the groom she thought sourly. “Thank you.” He escaped victorious yet avoiding meeting Lovely’s furious eyes with a trapped expression. “Lovely was most hospitable and made me feel very welcome.” His eyes danced as he met hers.